Makah tribesman Everett Nelson Greene died in Grants Pass, Ore., at age 67. He had pancreatic cancer. He was born in Neah Bay to Walter and Florence (Tucker) Greene. As a Makah hereditary chief, he was named Baa-bia'tlh in the longhouse language. 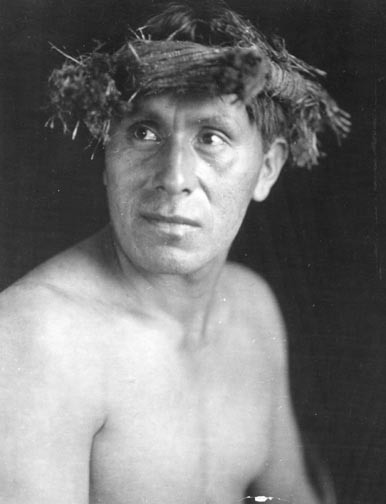 In addition to fluently speaking traditional Makah, Mr. Greene gave lectures and dance demonstrations in schools, volunteered as a spiritual adviser for the Oregon Youth Authority, was an adviser to the Southern Oregon Indian Center Board and served as a bellringer in the Shaker Indian Church. During most of his life, he worked as a barber. In later years, he was a security guard. William "Bill" Tyler declared as a Baha'i around 1964. Two of his children are also Baha'i. Born September 8, 1923 and died on July 3, 2004. William Tyler died in Port Angeles Care Center at age 80. He was born to Iva Tyler at Neah Bay, where he was a member of the Makah tribe. In 1942, he joined the Navy for World War II service and was stationed at Kodiak, Alaska, from 1942 to 1944 then joined combat forces and served aboard the troop carrier USS Crockett in the Pacific. While he was in the South Pacific, grandfather Willie Tyler died but the family was unable to locate and notify him of this passing. After the war, Mr. Tyler remained in the South Paciifc, aboard LSM 171, until his honorable discharge in 1946. He was then a lifelong member of Disabled American Veterans. Mr. Tyler returned to the Northwest, where he worked as a logger before attending business college in Tacoma and Seattle. He then became a federal employee with the General Services Administration, Bureau of Indian Affairs in Lapwai, Idaho. Later, he returned to Neah Bay where he was a commercial fisherman and administrative officer for the Indian Health Service. He was elected to serve on the Makah Tribal Council and used his business skills as director of the Community Action Program in Neah Bay. He was an active member of the Ba'hai Faith.